Softbank Mobile announced today to release 1-seg digital TV tuner device for iPhone in the middle of December. The 80-gram device provides the feature of TV over WiFi (converting TV signal received to IP-based data for iPhone) and doubles as a battery extender. Three hours continuous TV viewing is available. Price is not announced so far. Additionally, Softbank Mobile opens in November its associate company’s operating WiFi service “BB Mobile Point” to iPhone subscribers, which means all the iPhone subscribers can use WiFi connection at 3,500 locations nationwide for a free of charge. 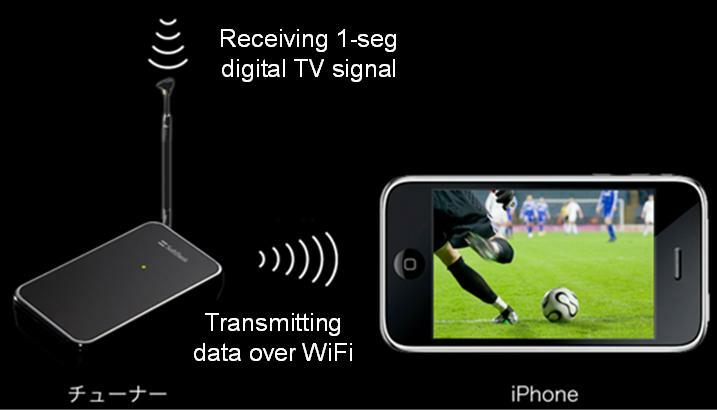 The device receives 1-seg signal from TV station, convert and re-transmit it to iPhone over WiFi. 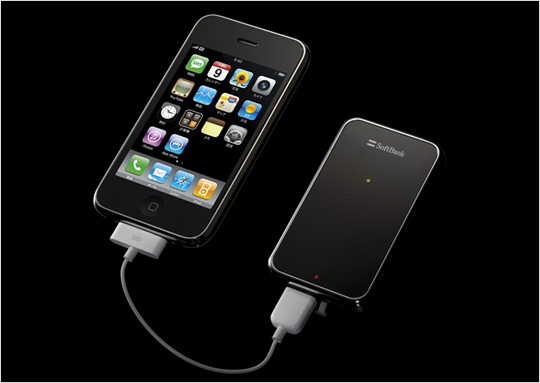 The device works as a battery extender when plugged into iPhone 3G’s connector.